Here and on TBCN Blog! BOOK BLURB: One of the first contemporary novels to highlight a female pastor in the evangelical community, along with the tensions and controversies surrounding her leadership role. Riveting, compelling, and inspirational. Destined to become a classic. ENTER HERE and/or TBCN Blog - The Complete Interview will be on the blog with fun pictures. CLICK LINK to be there. Randall Arthur rocked the Christian world with his first novel Wisdom Hunter. Then there was The Betrayal and finally Jordan's Crossing. These were ground breaking books because nobody had written a novel like he did about legalism. He was transparent and brutally honest of it's affects on a community and the world. It was a wild ride that wasn't preachy. He gave the circumstances and let the readers make up their own mind. Many (including myself) found this refreshing. Randall Arthur is back with a novel that has blown me away even more then his first novel. Again he brings up a subject and lets readers decide for themselves how to respond to what they read. 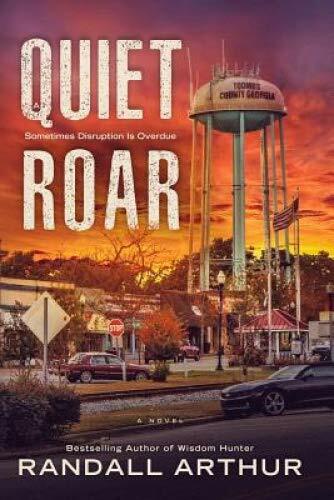 I'm thrilled to introduce this new novel Quiet Roar: Sometimes disruption is overdue. That gives a peek into a congregations experience through change of Pastors, traditions, and a brutal look at what missionaries can get caught up in as they share the good news of Jesus. It made me think of the original disciples. They were on a mission to share the news Jesus told them. They weren't always well received but they kept sharing. How did you come up with the idea for A Quiet Roar? RANDALL: My wife and I were driving through the backroads of Georgia. As we approached Toombs County, we were discussing the subject of ‘women in ministry.’ As we passed through the small towns of Vidalia and Lyons, I asked out loud what would likely happen if the most prominent church in the area announced they were hiring a female pastor. We were in deep, central Georgia; a conservative, traditional, church-going culture. Being a Georgia native, I knew instantly how the community would respond. And within thirty minutes, I had built the basic outline of the novel. Even though I had another novel outlined and ready to commence writing, the story of A Quiet Roar took precedent. And it wouldn’t let me go until I finished it four years later. 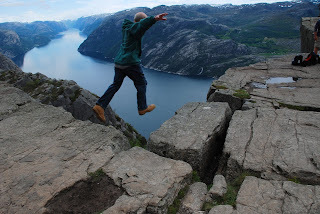 NORA: Thank you for sharing all these photos and the story behind your novels. I'm THRILLED to share this thought-provoking book (that discusses much more than a woman pastor in a small town. Your story rocked my world as much as Wisdom Hunter did! Thank you Randall for stopping by and giving us a look at your new novel; a peek into your heart and a front row seat into how Quiet Roar came to be. This book is about so much more than a woman pastor it's about the human heart, change, and a peek at missionaries on the front line risking it all to share the good news of Jesus. I love that your books cause me to go back to the bible and look at things for myself and let God do the rest. Like Wisdom Hunter (which is a book I still think about); readers will be moved to dig deeper into their heart and think about why they do what they do. This book would be great for book club there is so much to discuss. This novel is definitely a keeper. Please Answer one of these questions to be entered to the drawing to receive a copy of Quiet Roar. This is a book I couldn't put down and one that will rock your book club meetings. of the Following Questions to be Entered into the drawing for chance at a copy of this book. 1. Have you been on a mission trip? If so, please explain where you went and what you did? 2. Have you ever wanted to go on a mission trip? If so, what have you desired to do? 3. If you've been on a mission trip; how was it different than you've expected? 4. If you've read and/or met missionaries how have they inspired you, encourage you, surprised you? Do tell! CONGRATS TO SHERYL BARNES your name was drawn to receive a copy of Randall Arthur's new novel. THANKS to everyone that has entered here on TBCN blog and on TBCN Ning Site. BLESSINGS to you all! PLEASE remember to include your email address! Want to read Randall's book Now he says, "
At the moment, the two major sources for A Quiet Roar are (1) Amazon, where you can find the book as an e-book or as a paperback sold by Amazon and third-party sellers, and (2) www.RandallArthur.com, where you can find the book as a paperback sold by Life Image Publishers, personalized and autographed by Randall. THANKS for Helping Make TBCN The Book Fun Place to Be! I haven't been on a mission trip. Missionaries are an inspiration. They live out their faith and see amazing results. I haven't been on a mission trip either but I'm inspired by those who do! I have never been on a mission trip but our church supports a husband and wife team who have served in Brazil for almost 40 years. When they come home for furlough they often come to our church to speak. I was amazed that every home has bars over the windows because the crime rate is so bad but one of the comments that they always make is that "it is good to visit family in the U.S. but they are eager to get back home!" Thanks for introducing me to Randall and this new book. Wow, thanks for sharing this Connie! My 15 year old daughter went on her first mission trip in 2018 to Panama. She is such a young woman of God! The teens didn't speak English, but she said when she prayed with them, she knew they understood and they cried together. My daughter inspires me and i'm so proud of her. Her future is Baylor for a medical degree. She wants to be a doctor in ther missions field. I'm thrilled that your daughter has had this experience. I bet you are proud of her. Praying for you and your family as she seeks her medical degree! Blessings to you and yours. Thanks for sharing! I have been on mission trips and, in fact, am on the first leg of a trip right now. Headed to El Salvador with 12 other folks from our church. Looking forward to seeing how the Lord will use us this week. Oh, wow Anne! Praying for you and the others as you make your way to El Salvador! Thanks for stopping by and sharing with us! Email. Anne at rightler dot com. I work as a missionary in W. Africa and before that, I did several short term trips. I have many, many stories of things that have revolutionized my life but I think one of my biggest worldview changes was in visiting a middle-of-nowhere-bush-village church in northern Ghana. The people were so poor most didn't have shoes, their clothes were shot through with holes, buttons were missing, but, oh, the smiles on their faces! I discovered that 'godliness with contentment' could be a reality: living the truth of the Gospel should alter us so completely that no matter what our current situation, we can trust God and be content in 'the now.' Joy comes from the Holy Ghost and not the things we have: I have seen this truth lived out over and over on this side of the world. Jesus is the answer!